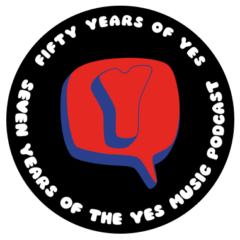 The one hundred and ninth episode of the Yes Music Podcast, featuring the Close to the Edge edition of Prog Magazine. What interesting items are there from Sid Smith’s research to discover? Is it worth buying physical magazines in the digital age? See if you agree with me and then let me know by contacting me via any of the methods below. I just bought it this afternoon, I also just ordered the new edition of CTTE. I look forward to listening to your comments on it. Hi Kevin. I’ve subscribed to Prog since the first edition and still do having switched to the digital version a while ago (‘cos it’s significantly cheaper for those of us not in the UK). Notwithstanding its coverage of Yes and other classic Prog bands, I’ve read and subsequently enjoyed listening to a whole host of new bands as a result of this magazine. Sometimes its a bit too metal oriented for my taste but all-in-all I look forward to reading it every 6 weeks or so. Cheers PS I received an email on Tuesday that my cd/blu-ray copy of CTTE is in the post!